Today is Friday the 13th. That translates into a lucky day for me since there were 13 letters in my maiden name and 13 letters in my married name, but I digress. So many people fear the number 13 most hotels in Las Vegas don’t have a 13th floor, at least by name. 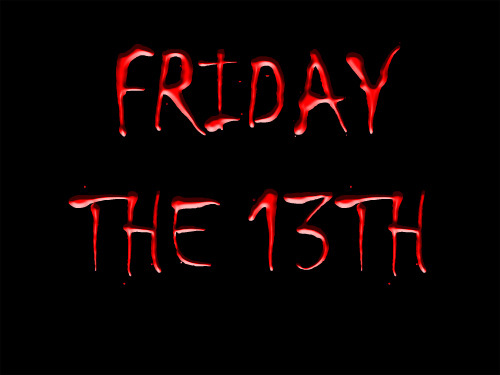 Fear of Friday the 13th even has its own phobia: It’s called Friggatriskaidekaphobia. What’s more, today a super moon will partially eclipse the sun, although we can’t see it here in Las Vegas. Spooky! That’s why today is the perfect day to check out the Dark Arts Market. Erin Emre created the event to showcase her art, which focuses on death. She’s invited 25 other Las Vegas artists and six sideshow performers to the event. 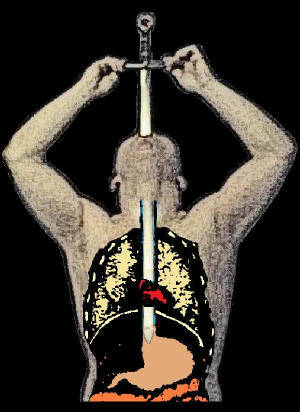 Don’t miss the performance by Austin Punton, who not only swallows swords but cheerily pulls meat hooks through this nose. The event is FREE but you can buy the art. All the fun will be at the Cornish Pasty Company in the Arts District. Starts at 7 and goes until midnight. If you like good British food (that is not an oxymoron), you can have a pasty. It is a pie that wives baked for their coal-mining husbands in Cornwall to take for lunch. Each pie has a crimped edge on one side where the miners could put a handle to hold the pie while eating. The west end traditionally sports meat and vegetables and the east end has a sweet filing. The bakers put their initials on the meaty side so the miners would know which end to eat first. Oh, and they are delicious, the ones baked right here in Las Vegas. If you’d rather do something more traditional, head over to Tivoli Village in Summerlin for some live music. The Summer Happy Music Hour is actually hours, since it stretches for 5 until 9. Also FREE. Of course, the goal is to have you stay for dinner at one of the many luscious restaurants after the event. I fight for you when challenges arise, because they do!